We are innovators and hands-on problem solvers. isn't just a job. It's a passion. We perform all steps involved in developing something new, preferably with airplanes because they're cool. Whether it's pitching an idea, building and installing a new hydraulic system, testing an airfoil, or crunching some numbers, we do it all. What that translates into is designing, building, and testing concepts to prove an idea, developing vehicles to mark a new milestone in aerospace history, or participating in an iterative process to help get to the next mile marker. Founded by legendary aerospace designer Burt Rutan, Scaled Composites' focus was building scaled-down prototype aircraft. Realizing this approach was not always practical, Burt expanded the definition of the business. The flexibility demonstrated with that decision trickled through the years, allowing Scaled to continually reinvent its approach to aerospace pioneering. Herb Iversen, Burt Rutan, and Pat Storch founded Scaled Composites: the Advanced Link to Efficient Development (SCALED for short) to focus on aerospace research work. Two years after the successful design, build, and test of the 85% proof-of-concept Starship, Beech Aircraft bought Scaled. For 3 years Scaled operated as a subsidiary of Beech Aircraft. Beech sold Scaled to Wyman-Gordon. Scaled brought composite knowledge and research to the table, where W-G brought mass production and marketing know-how. This partnership intended to access the aerospace composite structure and manufacturing market. With rising costs to run businesses in California, Burt sought a new home for Scaled. Although long-term plans to move the entire company didn't pan out, Scaled Technology Works was set up in Montrose, Colorado. 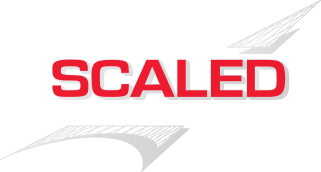 Always on the lookout for the next project, Scaled began marketing the wonders of composites. Although many meetings were had discussing the merits of fabric and glue, interest was low. A new idea formed - a modifiable flying platform - which we now know as Proteus. Burt and 10 investors buy back Scaled Composites after Precision Castparts moved to sell the company. With this transfer Scaled was renamed Scaled Composites, LLC. X-prizes provide motivation and competition for breakthroughs. The Ansari X-prize pushed Scaled to develop a cost-effective system to put man in space. Scaled's rapid prototyping capabilities caught the eye of Northrop Grumman and was sold for the fifth time. After 29 years at Scaled and 46 years in Southern California, Burt Rutan retires. We are continuing our legacy of pursuing interesting work. With so many fun projects behind us, we're constantly looking forward to the next.